Pakistan’s envoy to the United States Sherry Rehman has been called to Islamabad to brief the civilian leadership on bilateral ties as the country prepares for a joint session of parliament to review relations with the US. This will be her first visit since she was appointed as the country’s ambassador to Washington after her predecessor, Hussain Haqqani, was compelled to step down over the Memogate scandal. 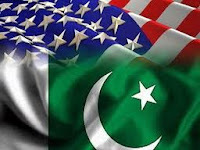 Sources say the government is likely to convene a joint session of parliament to review ties with the US following the briefing from Ambassador Rehman.